We are always excited to hear from and assist ViewRanger customers, who are using our service to help them with interesting challenges or trips to unusual places, and this was particularly true when we heard from Nick Parks ahead of his trip to Antarctica at the end of 2012. After being very happy using the ViewRanger app on my iPhone whilst mountain guiding in the Alps last summer, I was keen to see if I could use the system in Antarctica. I contacted ViewRanger and kindly they looked into digital mapping options with the British Antarctic Survey, but unfortunately the most recent mapping of the area we were visiting in the Antarctic Peninsular (1:250,000 Brabant Island to Argentine Islands) could not be accessed. However the tech wizards at ViewRanger were able to cache some open sourced mapping and aerial imagery for me to use on my iphone. 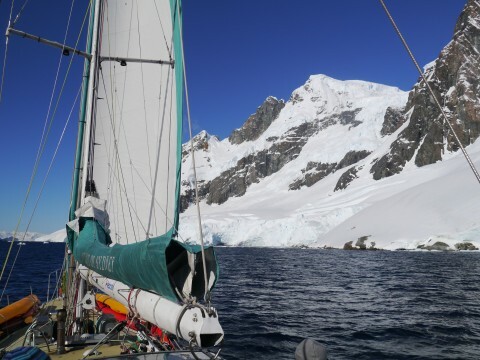 It was an exciting moment when, after 5 days of sailing across the infamous Drake Passage in the Southern Ocean on board the 20 meter yacht Spirit of Sydney, we finally sighted Mount Francais on Anvers Island and the GPS on my iPhone located us on the map! 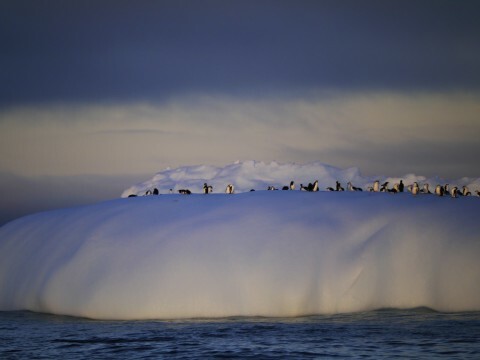 Our arrival in Antarctica coincided with the start of perfect weather which blessed our two week stay. Prior to departure ViewRanger had raised with me the consideration of cold temperatures for my iPhone operation, however, although Antarctica is a land still in the ice age we were only going to 64 degrees south. This means average daytime temperatures seldom fell below -5 degrees centigrade and were considerably higher at times especially on North facing slopes without wind, so no worries with the cold. Power on the other hand could be an issue, iPhones have notoriously poor battery life and the ViewRanger App can be thirsty (Ed- see Apple power save mode). Fortunately using Spirit of Sydney's generator for recharging when onboard wasn’t a problem and on shore I used the Power Monkey Extreme which worked brilliantly, 15 hours of sunlight - ideal for the solar panels. 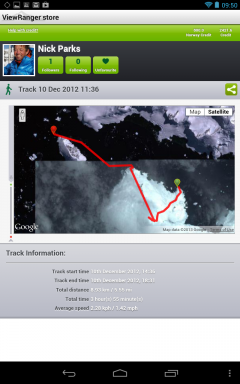 Sadly we didn’t have a data connection whilst down in Antarctica and so I wasn’t able to use BuddyBeacon however I did record a number of tracks. 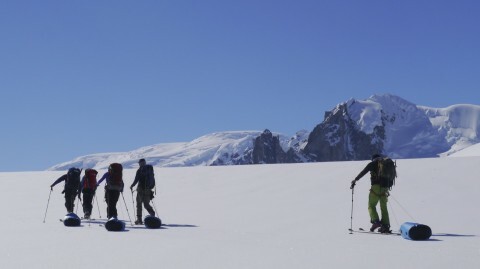 In total the team I was guiding summitted and skied six summits, two probably by new routes. My ViewRanger app was invaluable. We were incredibly lucky with the weather, which always aids navigation, but the fact that the best available map scale is 1:250,000, in other words not very detailed and that we had very little info from previous expeditions, because there haven’t been many, meant that I relied totally on ViewRanger to tell me where I was. Allowing me to record my tracks also meant that if the visibility went I could easily navigate my way back. All in all a fantastic app which I’m telling pretty much everyone I talk to about! BIG thank you ViewRanger.